Melanie M. Hamilton | Attorney | Ott Cone & Redpath, P.A. Melanie represents healthcare systems and hospitals in efforts to increase revenues. She works closely with healthcare systems in areas related to Medicaid eligibility as well as identifying other potential payment sources. She has extensive experience in administrative and court proceedings. Her clients continually look to her to formulate effective and cost-efficient approaches to address complex legal and business issues. 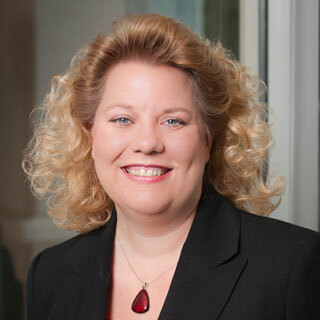 She also focuses extensively on payment audits, billing issues, and compliance matters. She has represented hospitals and healthcare systems in connection with Medicare billing and other compliance matters before the U.S. Department of Justice. Melanie has assisted in resolving potential civil exclusionary actions as well as negotiating and implementing corporate integrity agreement (CIAs) with the Department of Health and Human Services Office of Inspector General (OIG). She has been recognized as one of “The Best Lawyers in America” by the U.S. News & World Report and Woodward/White and served as Chair of the Health Law Section of the North Carolina Bar Association.